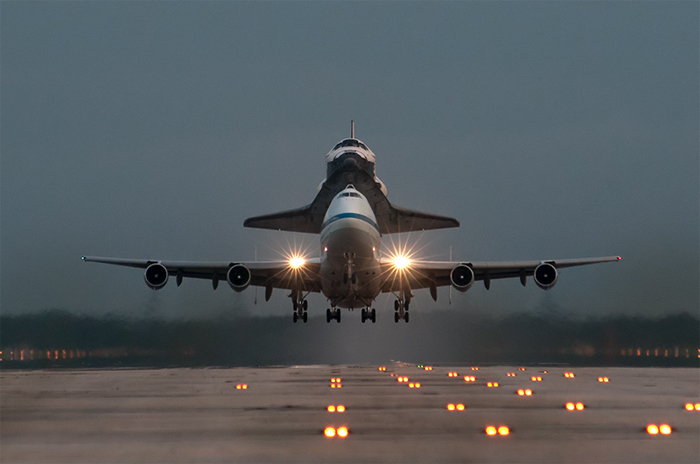 Houston, we have a space shuttle. The space shuttle Endeavour landed in Houston today (Sept. 19) for a one-day stopover while en route to its new museum home in California. 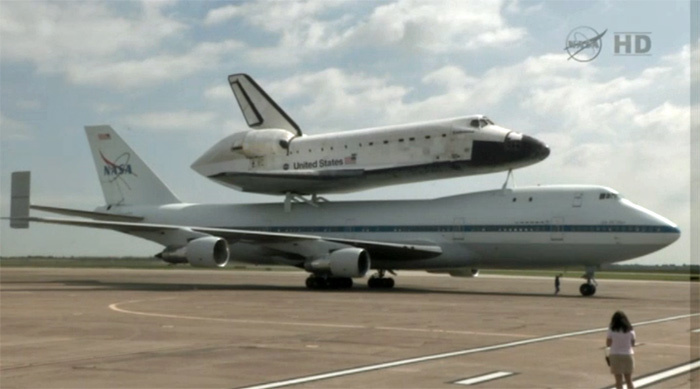 Endeavour landed in Houston while riding piggyback atop a modified Boeing 747 jumbo jet to end the first leg of its three-day journey to Los Angeles, where the retired space shuttle will ultimately be transformed into a museum exhibit at the California Science Center. 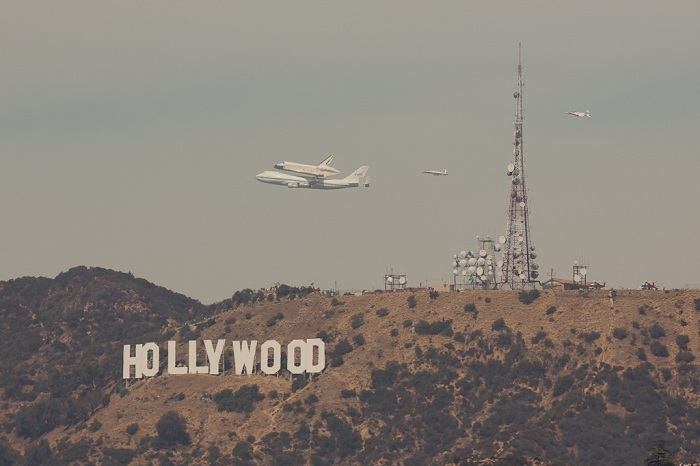 The shuttle is expected to arrive in California on Friday (Sept. 21), but only after a cross-country farewell tour of sorts. Since NASA's 30-year space shuttle program retired last year, this is NASA's final space shuttle ferry flight across the United States. 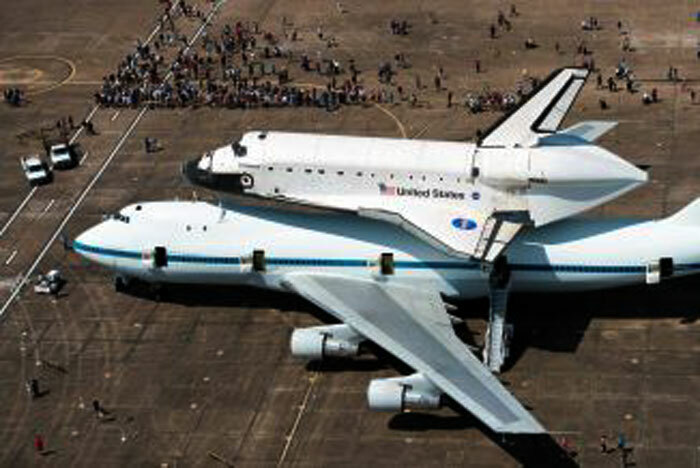 Crowds gather around the space shuttle Endeavour, carried atop NASA's 747 Shuttle Carrier Aircraft, after landing at Ellington Field on Wednesday, Sept. 19, 2012, in Houston. Endeavour stopped in Houston on its way from the Kennedy Space Center to the California Science Center in Los Angeles, where it will be placed on permanent display. The space shuttle that flew on NASA’s next-to-last shuttle flight is expected to make an appearance Thursday in the skies over Tucson as it heads to its final home in California. The Space Shuttle Endeavour will fly over the city at about noon, said Federal Aviation Administration spokesman Ian Gregor in an e-mail. The Tucson portion of the flight will honor former U.S. Rep. Gabrielle Giffords and her husband, Mark Kelly, a former astronaut who commanded Endeavour’s final mission to space in May 2011, according to media reports. Media reports said Kelly requested the shuttle fly over Tucson, and NASA agreed to the request as a tribute to the couple. 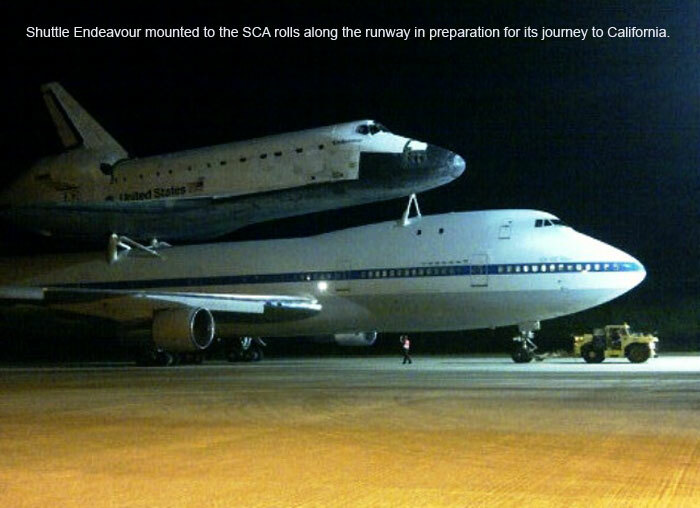 The shuttle is mounted to the top of NASA’s Shuttle Carrier Aircraft, a 747. 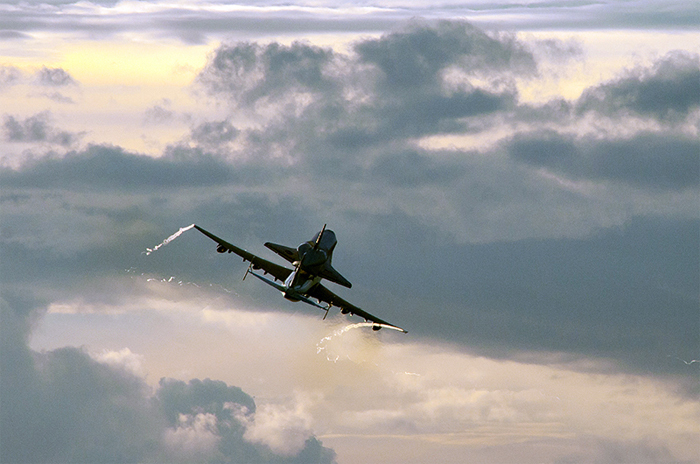 The aircraft is expected to fly over White Sands Missile Range and Las Cruces, N.M., at a low altitude and slow speed before leaving the area at 11:30 a.m. Thursday Tucson time. 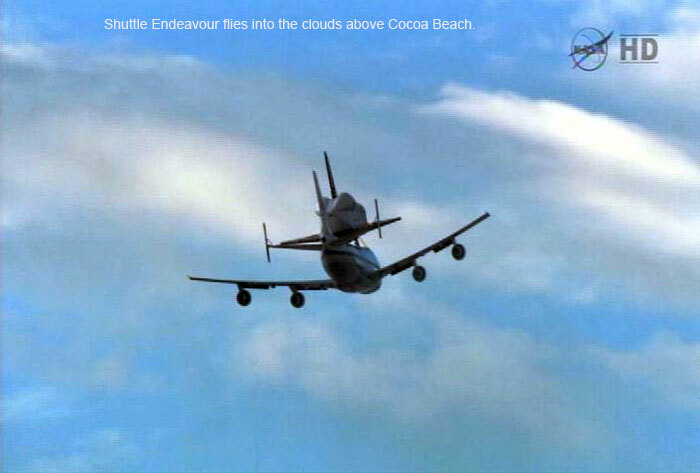 According to NASA, the aircraft ferrying the shuttle drops to an altitude of about 1,500 feet when it performs its low-level flyovers during this final trip. 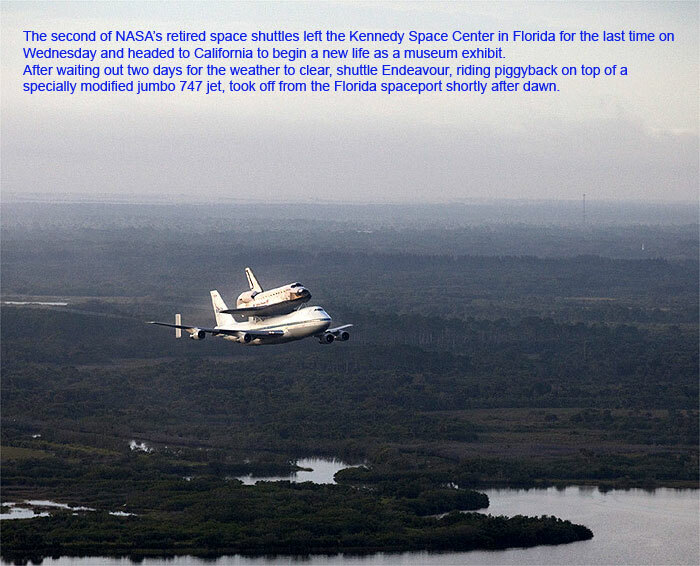 It is heading to the Dryden Flight Research Center at Edwards Air Force Base in California, according to NASA. 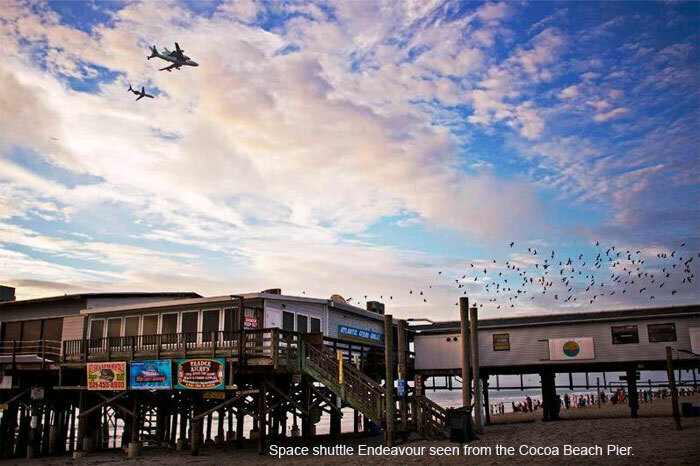 The retired shuttle has embarked on a cross-country farewell tour that began Wednesday at NASA’s Kennedy Space Center in Florida. On Friday, the shuttle will be flown from Edwards AFB to the Los Angeles International Airport. 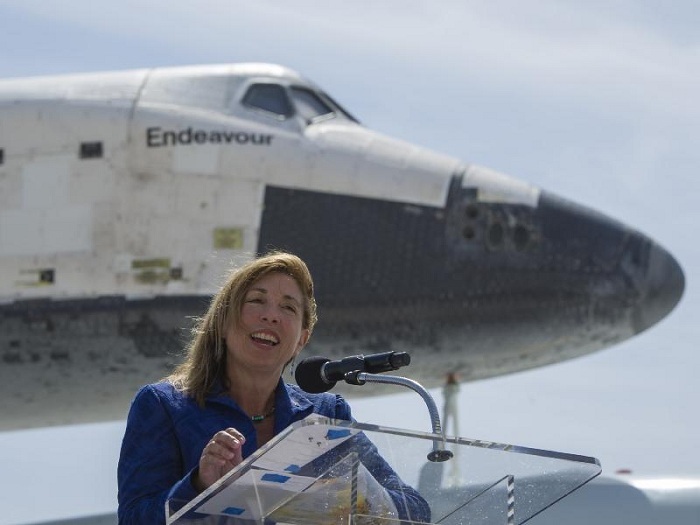 In October, the Endeavour will move to the California Science Center in Los Angeles, where it will be on display. 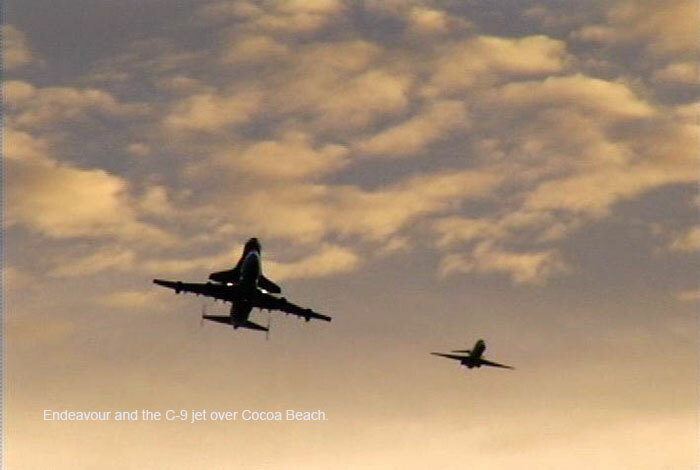 NASA invites Californians to participate in space shuttle Endeavour's historic flyover of the state Friday, Sept. 21. The orbiter, atop its 747 Shuttle Carrier Aircraft (SCA), is scheduled to fly over northern California and a large area of the Los Angeles basin beginning at about 8:15 a.m. PDT, one hour later than originally planned. 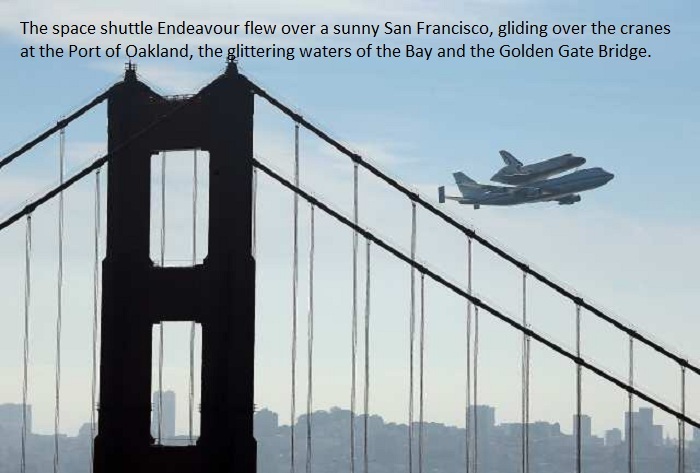 NASA, the California Science Center, and the Federal Aviation Administration delayed the start of the flight to increase the probability that fog over the San Francisco area will dissipate before the flyover. The SCA and Endeavour will salute NASA's Dryden Flight Research Center and the Edwards Air Force Base area after takeoff with a low flyby northbound to Sacramento and the San Francisco Bay Area. 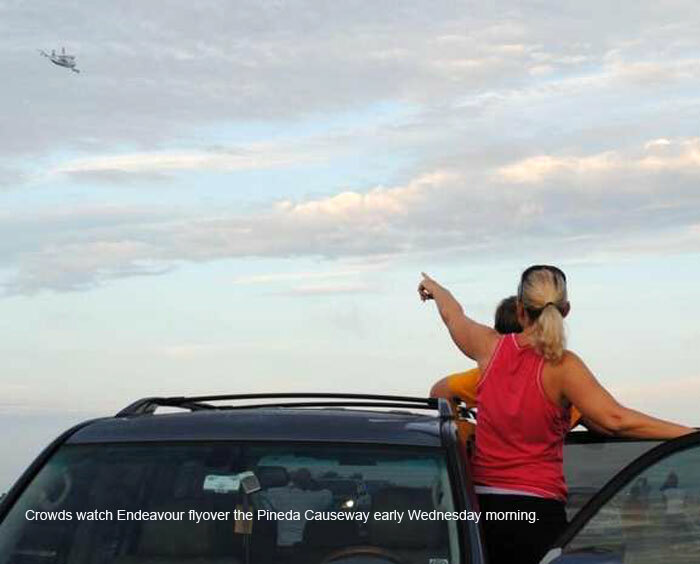 Any time after 9:30 a.m. PDT, watch for Endeavour from viewing locations that include the Bay Area Discovery Museum, Chabot Space and Science Center, the California State Capitol, Exploratorium, Lawrence Hall of Science and Monterey Bay Aquarium. Next the aircraft will travel south, making a pass over NASA's Ames Research Center and Vandenberg Air Force Base before heading into the Los Angeles area. 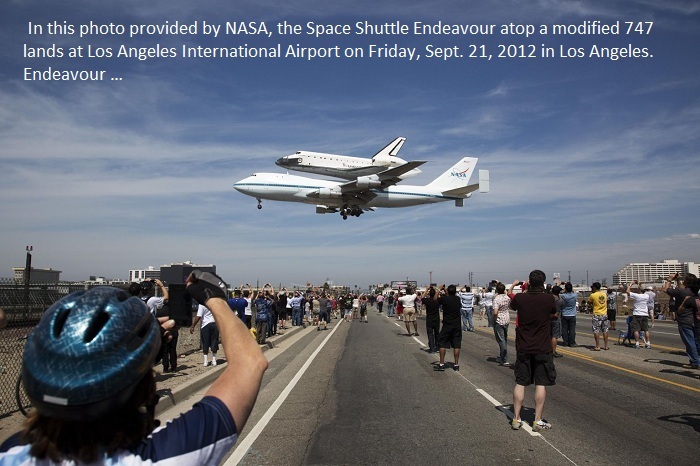 Any time after 11:30 a.m., watch for flyovers of Endeavour passing landmarks such as the California Science Center, Columbia Memorial Space Center, Disneyland, The Getty Center, Griffith Observatory, Los Angeles City Hall, the Long Beach Aquarium of the Pacific, Malibu Beach, NASA's Jet Propulsion Laboratory, the Queen Mary, Universal Studios and Venice Beach. 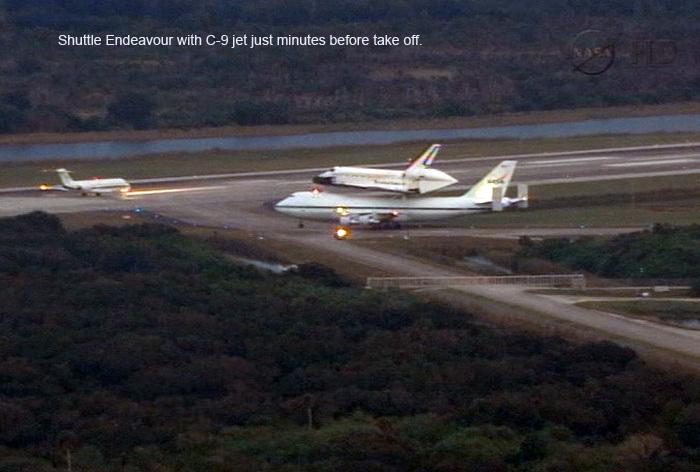 Endeavour will land about 12:45 p.m., at Los Angeles International Airport (LAX) .